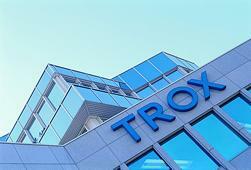 Welcome to TROX TLT GmbH - a pleasure to have you at our site. We're glad you take an interest in our company and its products. Technologies and applications never cease to evolve. At TROX TLT, we relish the resulting challenges. Some particularly interesting aspects of our work are highlighted below. You will find up-to-date press releases, reports on exciting and important trends, and the latest update on key events and developments in our company in this section. We hope you will enjoy browsing these pages. A tip: To receive up-to-date information about us automatically by e-mail, just register for our eNews subscription service.